Our 4500 square foot studio includes multiple bathrooms with showers; the most spacious yoga room in Portland; a community room where we host open meditation and events, with art, music, and more. 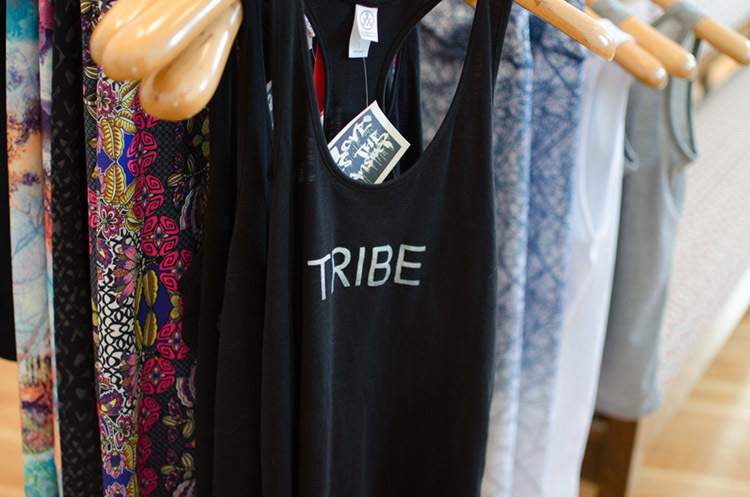 Our boutique is the spot in the Southeast to find the stuff you need to practice yoga. The hardwood flooring at Yoga Riot is original Oregon ash. Much of the wood and metal features in the studio, including seating; doors; fixtures, trim and furnishings, are original to the building or repurposed/reused/redesigned from materials original to the structure. We have created as little waste as possible in constructing a yoga studio inside a historical space. The studio is beautiful, safe and efficient to modern standards, while maintaining the character of the original use, a place for community to gather. yogaRIOT’s clean spacious bathrooms make it easy and convenient for you to practice yoga. With 40+ classes a week you can practice even when you’re busy and our schedule will always be responsive to your needs. 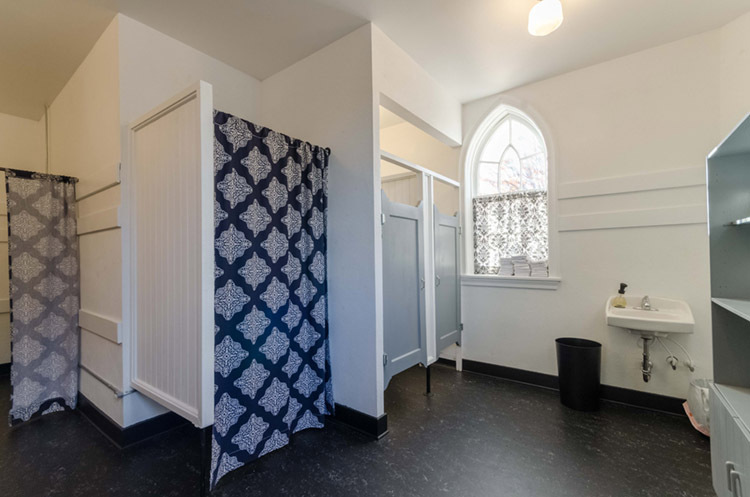 We have multiple showers in our bathrooms, spacious change areas, vanities and plenty of space for your personal items, we provide for your basic needs from natural soaps and hair dryers to Q-Tips and tooth paste. You can even rent a clean towel. Our facility is handicapped accessible to local and Federal standards, including a dedicated handicapped bathroom with shower. Water, Tea, Kombucha and more! We do not sell single use water bottles in our studio. We will happily lend you a clean reusable water bottle if you forget yours. We graciously encourage all of our students and all people everywhere, to help protect the environment by using reusable water bottles and using bottled water only in emergencies. Drinking tea is known to improve your health. In Ayurvedic practice tea is understood to balance the PH of the blood to keep you healthy and well. At yogaRIOT we honor your presence by sharing tea with you at the beginning or end of each practice. We believe that sharing tea with your teachers and your yoga community will improve your health and nurture your spirit, creating connection and wellness. We brew, drink and sell fair trade sourced teas, grown sustainably and fully compostable. Our cups and pots are sanitized sustainably and we sell teas only in reusable containers. We provide kombucha at our drink station made from organic fair trade chai and organic cane sugar. Kombucha aids digestion and immunity with probiotics and gives a light energy boost after yoga practice. 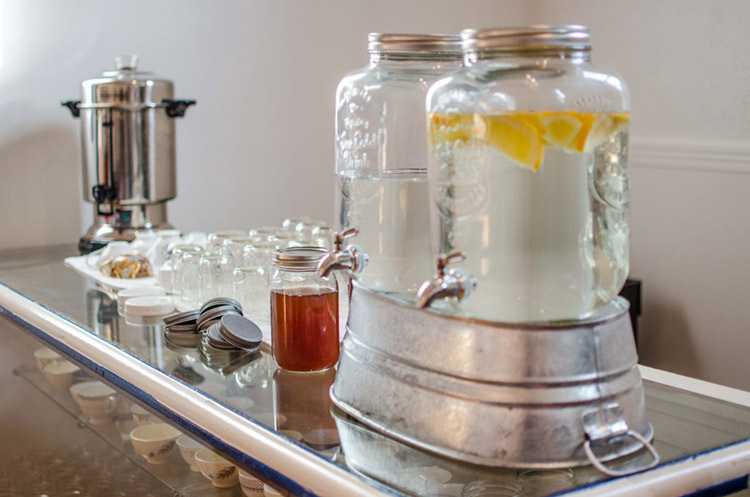 We sell electrolytes and coconut water for before, during or after yoga practice at our drink station.